For me, the key word in this quote is “worry”. In the past I have written my thoughts on the concept of living like today was your last day. It’s a romantic notion, but completely impractical. As I wrote last year, if everyone truly lived as though it were their last day, nothing would ever get done. The conclusion of that post was that I need to live as though every day matters, that there are no throw away days. This has been my ongoing attitude since that post. Each day matters a great deal. Every morning gives me a fresh slate on which to write the story of my life. Today is the only day I can act upon. I cannot change the past, and I cannot pre-ordain the future. I can only live in the day that I am given. It is up to me to spend this day well, and to make sure that at the end of it I can lay my head down and sleep with ease. Part of spending this day well, and making sure it matters, is to prepare for the future. I need to do the things today that will enable my success tomorrow. Whether that is putting away some money for retirement, planning a vacation, completing work plans for my projects at home and at work, or any of a host of other activities, I must spend a portion of my day in preparation for what is to come. I need to have an eye to the future to be sure. What I cannot do is worry. Worry is passive. It is sitting, or laying down and allowing anxiety about things to take over my mind. It isn’t activity, rather it is the epitome of being idle. Worry is that gnawing ache that I allow to form in my gut where I imagine how the future will play out. That imagination rarely ends well. My mind will tend to conjure up all of the worst-case scenarios that are available. I tend to take a small chance of a future problem and blow it up into a full-on crisis. Worry is the worst form of theater of the mind. When I spend my time on worry, I rob myself in so many ways. I take away from the enjoyment of today, and I squander the opportunity to be active, and to prepare for a brighter future. Worry is waste. It is the wasting of the most precious, and only irreplaceable commodity in my life – my time. I am no super human when it comes to worry. Like everyone else I have my periods when worry creeps into my life. I will sometimes find myself staring out the window (both figuratively and literally), letting my mind wander into the chasm of worry. It’s easy to diagnose when it is happening. My body becomes idle, my mind starts to race. If I am trying to get to sleep at night, my body temperature will elevate until my sheets are a sweaty mess. My stomach will tie into knots until my gut actually aches. Sometimes my head will begin to pound. Sometimes I will catch myself in a state of worry early on, and I can correct it. Other times my mind will plumb the depths of the abyss before I can get my act back together. When I do catch myself in worry, I take action. Action is the enemy of worry. When I am taking action I do not leave my mind time to engage in wasteful worry. Almost any action will work to stop worry in its tracks, but those actions that address the thing about which I was worried are the most effective. If I am worried about my health, a trip to the gym will usually push that worry aside. If I am worried about my financial future, taking time to review and update my plans will do the trick. If I am worried about a loved one, and how they are doing, a call or note to them will benefit us both. If I am worried about things that are coming up at work, laying out plans to address them, and taking actions today to make things better tomorrow are my best bets. I could go on, and maybe one day I will write a list of 100 things to do that are better than worrying. Today my reflection is on action. I could literally write the sentence “there are a lot of stressful things coming my way,” on any day of my life – today is no exception. Today will be about actions I can and will take to reduce the strain of stress in my life, and relieve my brain of the opportunity to slide into the mud puddle of worry. This entry was posted in Personal Reflections, Reflection 365 and tagged bobby-c, reflection 365, worry. Bookmark the permalink. Yes, worry is the worst form of theatre of the mind! I am by nature a worrier. My fiance has helped me greatly with this, and I’m not sure that he knows it. 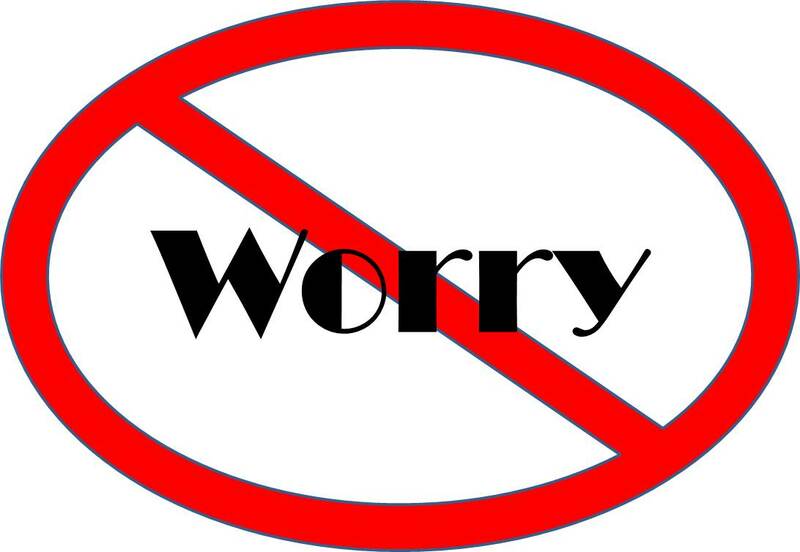 His approach to life centers around “why worry–the act of worrying itself won’t help.” It’s changed mine, too!